For the roughly five million American adults with fibromyalgia, the muscle soreness, body aches and telltale painful “tender points” on the shoulders, neck, back, hips, arms and legs are all too familiar. But until very recently, the condition was a much maligned mystery illness. In fact, some doctors told patient after patient that the condition was “all in your head” because no cause could be identified. Now: The medical naysayers are rethinking fibromyalgia because of new research showing that the condition does have an identifiable cause in some patients. Substantial numbers of people with fibromyalgia have been found to have a little-known—but testable—condition that triggers faulty signals from tiny nerves all over the body, possibly causing the symptoms of fibromyalgia. In addition to chronic widespread pain, sufferers often have various other symptoms, such as fatigue, insomnia, digestive problems (including constipation and nausea), and memory and concentration difficulties commonly known as “fibro fog.” People with fibromyalgia also may experience numbness, tingling and/or burning in the hands, arms, feet and/or legs, chronic headaches, depression and even frequent urges to urinate. Even though the American College of Rheumatology has recognized fibromyalgia as an illness since 1990, most doctors have been uneasy about diagnosing it because there has been no way to test for the condition. X-rays and blood tests can rule out other conditions, such as rheumatoid arthritis, but fibromyalgia has been a diagnosis based on symptoms alone. The new research findings may change that. What important new studies have uncovered: According to several studies published in 2013, one conducted by researchers at Massachusetts General Hospital, nearly half of people with fibromyalgia have evidence of a disease called small-fiber polyneuropathy (SFPN). A form of peripheral neuropathy, SFPN involves damage to specific nerve cells that can trigger pain and the digestive problems that often accompany fibromyalgia. How was this discovery made? Skin biopsies were the key tests that uncovered abnormalities in the nerve cells of 40% of SFPN sufferers who were tested. Meanwhile, researchers at Albany Medical College found another interesting piece of the puzzle—excessive nerve fibers lining the blood vessels within the skin of people with fibromyalgia. Since these fibers control the flow of blood, oxygen and nutrients to muscles during exercise, this abnormality might explain the deep muscle pain of fibromyalgia. These new findings do not mean that the name has been changed-fibromyalgia (fibro, the Latin term for fibrous tissue…and the Greek words myo, meaning muscle…and algia, meaning pain) perfectly describes the condition’s primary symptoms of chronic, widespread muscle pain. Even though the discoveries described above don’t apply to all fibromyalgia patients, they give researchers some clues to follow toward cracking the disease’s formidable mystery. Scientists may be intrigued by this new evidence, but what does it mean for people who suffer from fibromyalgia? The most immediate—and significant—implication has to do with testing. Fibromyalgia symptoms can vary widely, so the diagnosis can be challenging even for experienced rheumatologists. Now that fibromyalgia has been linked to SFPN, people with fibromyalgia symptoms may want to ask their doctors about testing for SFPN. A skin biopsy from the lower leg is currently the best way to diagnose SFPN. The sample can be mailed to an accredited lab—for example, at Massachusetts General Hospital—for analysis. It is usually covered by insurance. FDA-approved medications. Pregabalin (Lyrica), an anticonvulsant…and duloxetine (Cymbalta) and milnacipran HCI (Savella), both serotonin and norepinephrine reuptake inhibitors (SNRIs), have been shown to reduce pain and improve function for some people with fibromyalgia. Researchers do not know exactly why these drugs work, but some data suggest that they affect pain signaling in the brain and spinal cord. Nortriptyline (Pamelor). An older tricyclic antidepressant that has also been proven effective for chronic pain relief, nortriptyline is not specifically FDA-approved for fibromyalgia. But it and several other off-label medications, including the anticonvulsant gabapentin (Neurontin)—available cheaply as generic drugs—have strong data supporting their use for fibromyalgia. Exercise. Don’t think this is just another plug for exercise. The research showing exercise’s effect on fibromyalgia pain is very strong. Whether it’s walking, strength training or stretching, exercise improves emotional well-being and lessens muscle wasting, an unfortunate consequence of avoiding exercise due to pain. 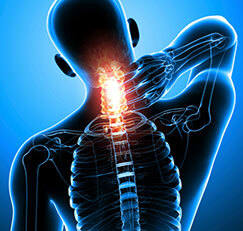 Vitamin D. This inexpensive vitamin supplement has just begun to prove its mettle for some people with fibromyalgia. A study published in January 2014 in the journal PAIN indicates that vitamin D supplements may reduce chronic pain linked to fibromyalgia for those whose blood tests show a low level of the nutrient. The optimal vitamin D dose depends on the level of deficiency. Source: Anne Louise Oaklander, MD, PhD, an associate professor of neurology at Harvard Medical School and director of a diagnostic and research laboratory at Massachusetts General Hospital that studies neurological causes of chronic pain and itch, both in Boston. Dr. Oaklander serves on the editorial boards for the journals PAIN and Neurology Today and serves on panels for the National Institutes of Health, the Food and Drug Administration and the Institute of Medicine.